Sometimes art is a mysterious process. I have always liked drawing lines inside of lines. I remember getting into trouble in art class because all I wanted to do was make shapes and then draw lines inside them! 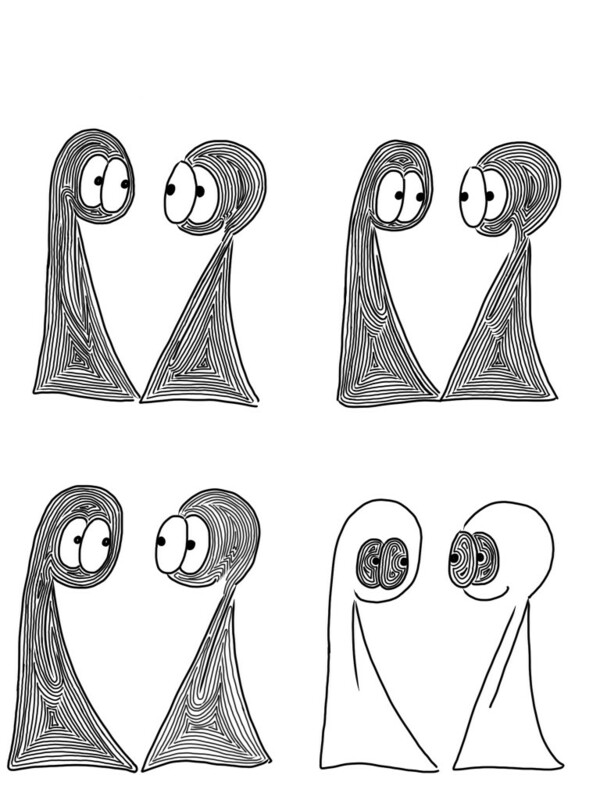 The Things are comprised of a series of wobbly nested lines, except for their eyes. They look at each other for a while. Suddenly their bodies are normal simple lines, but their eyes are full of nested lines. They continue to smile at each other.